With this cold weather, I'm turning cozy up to eleven. 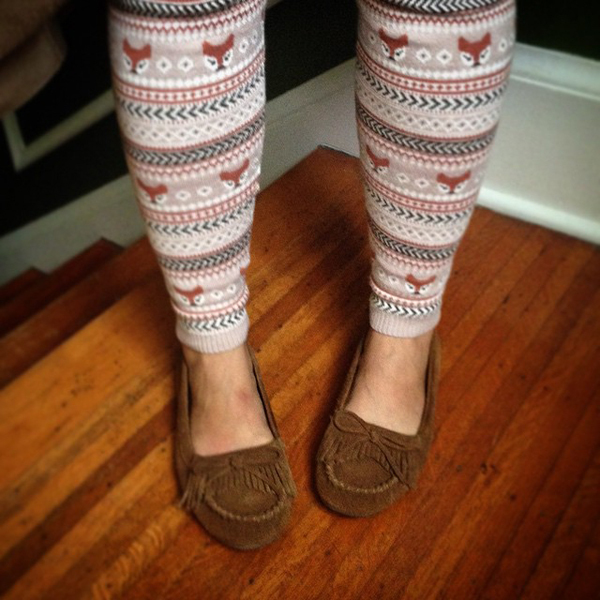 I found these fox sweater leggings at Target. It's like wearing a sweater... on your legs. Leave it to me to find multiple articles of clothing with critters on them. 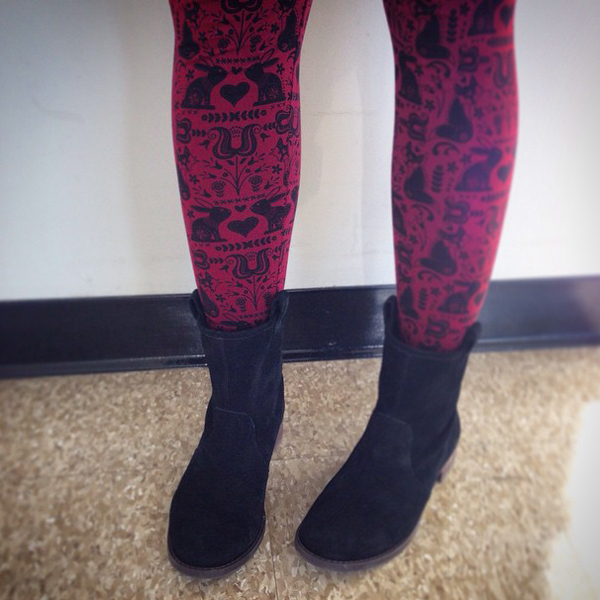 Another pair of leggings found at Target, this time with rabbits and again, foxes. The foxes are a little hard to see. Note the "find a great pair of shoes and buy them in multiple colors" habit strikes again. These booties... in black suede.